The Karnataka government is going all out in its Kannadiga-first policy. The government is planning to provide 100% reservations to the locals in private sector blue collar jobs, TOI has reported. The state labour department has released the draft amendments to the Karnataka Industrial Employment (Standing Orders) Rules of 1961 to this effect. For now, the move will exclude the IT and Biotech industries in the state, but there’s a clear intention to extend the ruling to those sectors. “We did not want to invite a problem with the powerful IT-BT lobby at this point in time. Let’s first implement this reservation and then take on the IT-BT vertical later,” a department official reportedly said. For now, every industrial establishment which has obtained concession of land, water, electricity or tax rebate or deferement of tax as per State Industrial policy will be under the ambit of the new rules. If industries do not follow these reservation guidelines, the government will cancel all concessions given to them. 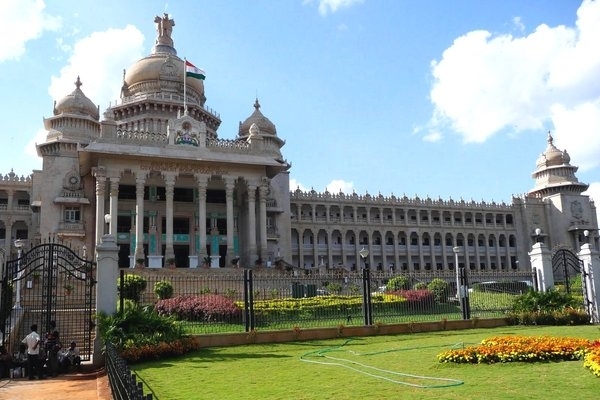 “The amendment will give us the means to ensure that all private sector industries open their doors to us, to identify how many Kannadigas work in each company and rectify any discrepancies,” Karnataka labour minister Santosh Lad said. “We’re not saying they have to pick a Kannadiga if there is none for the job. But we’re insisting that private industries employ Kannadigas as the first option,” he added. This could be a worrying department for Karnataka’s IT industry, which employs a large number of people from outside the state. With several IT companies establishing offices in Bangalore in the early 2000s, tech workers from all parts of India streamed into the city chasing white collar jobs. Even today, Bangalore remains the hub for software development in the country, and attracts talent from all over India.